Peach Punch is a delightful ruby red combination of peach and hibiscus in the most flavourful blend! The juicy peach flavour featured is a true, ripe, fresh peach taste; as though you just bit into the perfect juicy peach! This herbal tea is sweet, tart, and oh so tasty! Our fragrant hibiscus based Peach Punch is a peachy, sweet apple taste explosion! Hibiscus iced tea is an excellent alternative to sports hydration drinks, which are usually packed with unhealthy chemicals, salt and sugar. 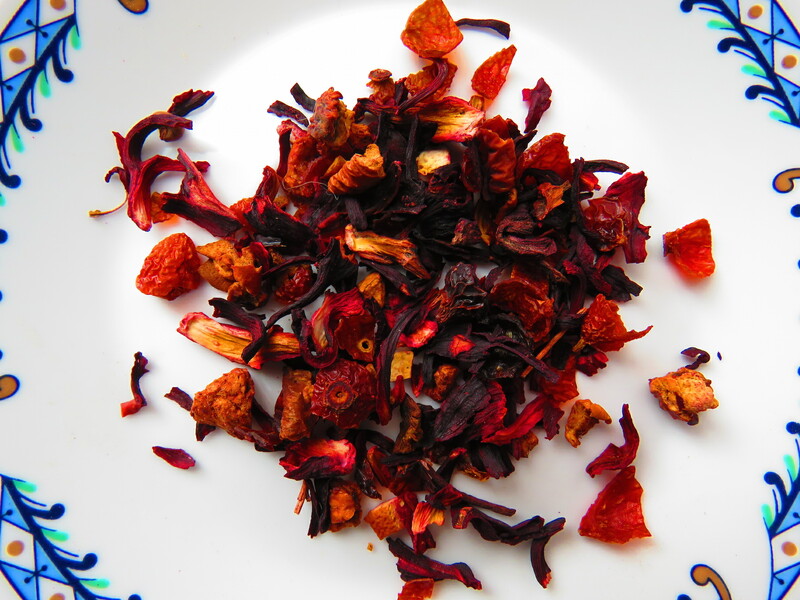 Hibiscus tea is also known to lower unhealthy levels of blood pressure. Studies show that hibiscus tea may fight low grade inflammation, reduce anxiety and help combat mild depression. This tea is delicious and soothing hot; though we think it would wow all your pool party guests prepared iced. If you have small children use the tea to make popsicles – they taste great and contain very little sugar. Whatever the occasion, Peach Punch is always a hit!